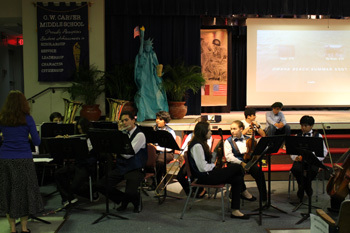 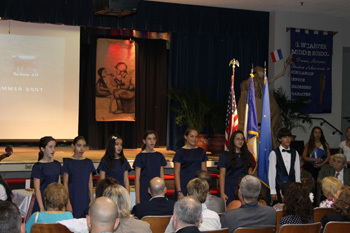 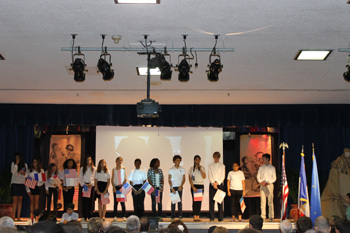 On May 30th 2013, at George Washington Carver Middle School, the Principal, the teachers and dozens of students gathered to welcome seven WWII American veterans. 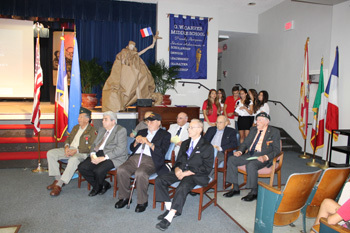 Along with the Consul general of France in Miami, they all thanked them warmly to recognize the courageous actions they took sixty-eight years ago to help the then occupied France. 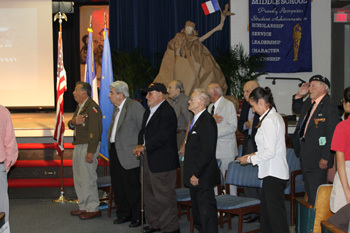 On this occasion, one of their comrades, Mr. Jack Goldstein, Knight in the Order of the Legion of Honor, took the floor to share his experience with the audience. 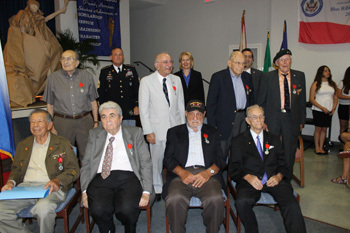 One week later on June 6th 2013, to commemorate the WWII D-Day invasion of Normandy, fifteen were also awarded the medal of Knight in the Order of the Legion of Honor at the Boynton Beach Civic Center in Broward county. 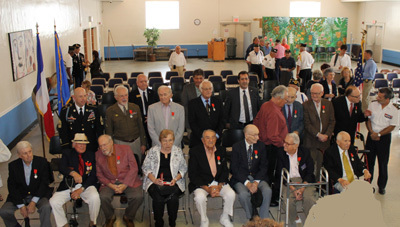 Article published June 6, 2013.